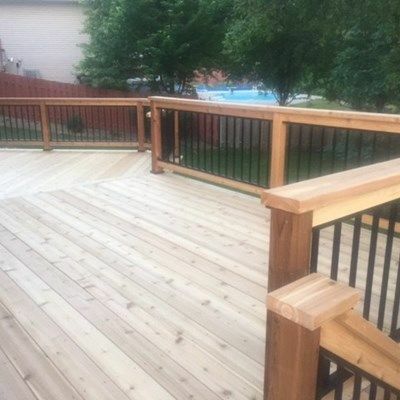 Cedar deck with aluminum baluster railings. 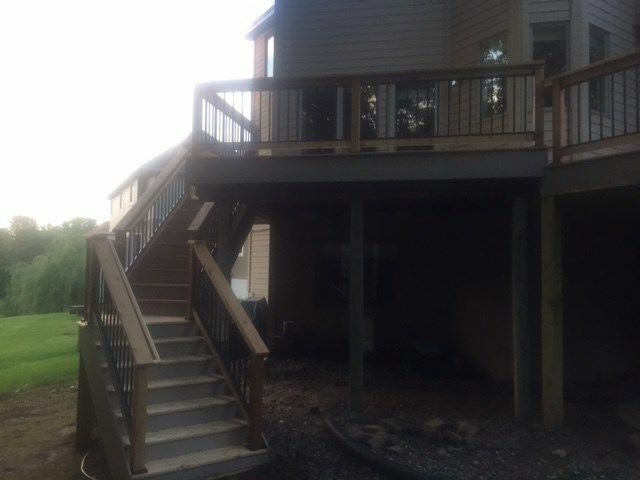 Other Pictures In Cedar deck with aluminum baluster railings. 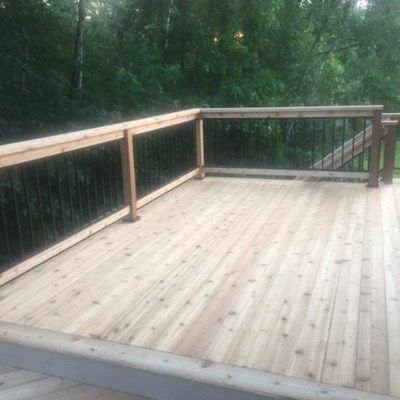 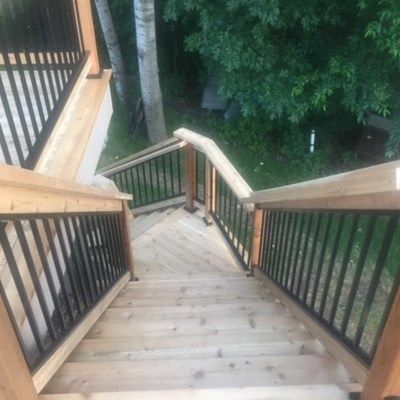 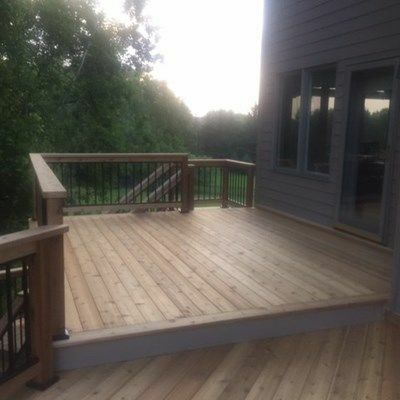 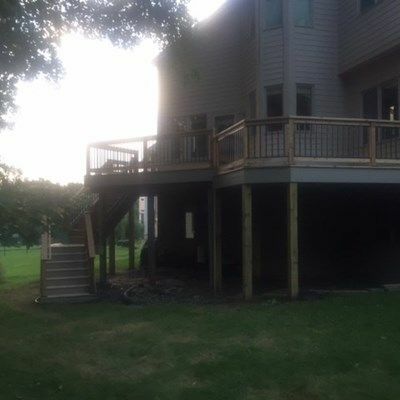 Here is a cedar deck built with black aluminum baluster railings in Minnesota.